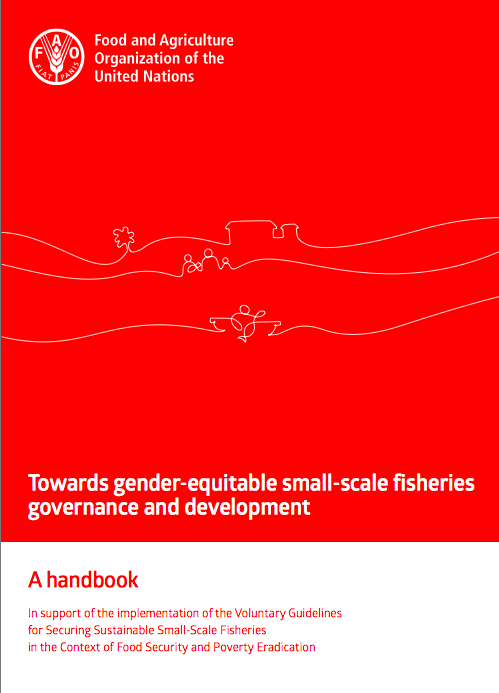 This handbook illustrates how to apply the provisions of the SSF Guidelines to promote gender equity and equality in all aspects of the small-scale fisheries sector. It focuses on the specific responsibilities of States and all other stakeholders to implement policies and plans that help promote gender equality, while also supporting the sector’s growth and sustainability. It is primarily intended for use by policy-makers and public institutions in their design and implementation of fisheries-related policies and programmes, and by fishing communities and their organizations. PART 1 briefly explains the concepts of gender and gender mainstreaming, followed by a description of women’s work and roles in the small-scale fisheries sector. PART 2 provides guidance related to the thematic areas of Part 2 of the SSF Guidelines: Responsible fisheries and sustainable development. PART 3 provides guidance related to Part 3 of the SSF Guidelines: Ensuring an enabling environment and supporting implementation.